This entry was posted in Craft, Family, Homeschool, Parenting, Spiritual and tagged forgiveness by fromthecommittedheart. Bookmark the permalink. 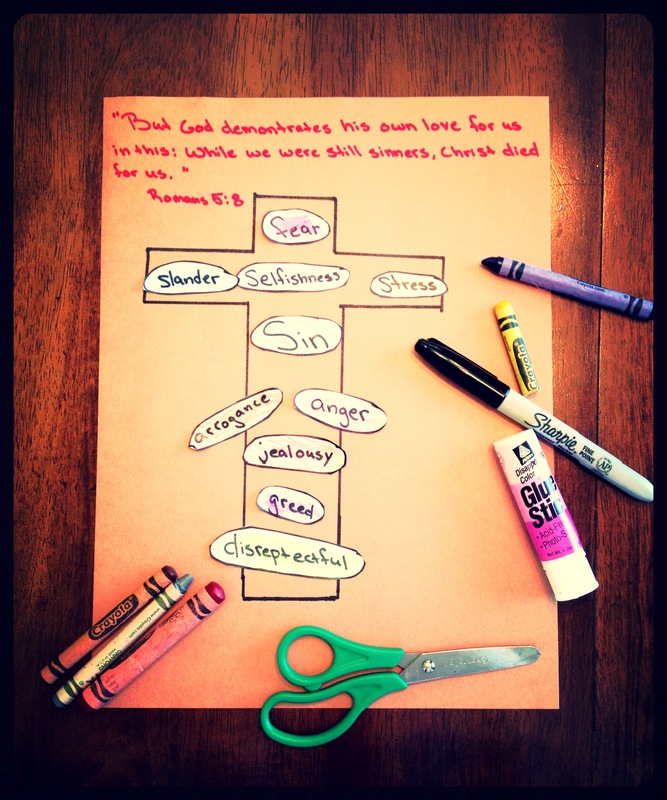 We made this cross this morning for Good Friday Bible time. Thank you so much sharing this great idea. Happy Easter! This is absolutely BEAUTIFUL! LOVE this idea! Thank you! !